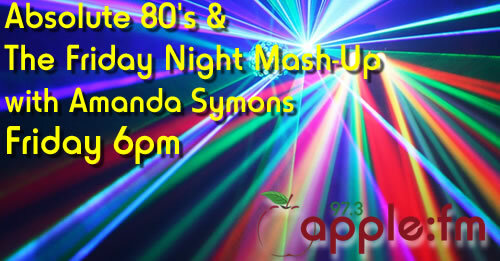 Each Friday evening from 6pm Amanda Symons brings you two hours of great music. In the first hour she brings you an hour of the greatest hits from the eighties decade. Then in the second hour she brings you The Friday Night Mash-Up. This is where well known tracks are all tangled together with amazing results. Amanda also likes to take your requests and dedications so get in touch.